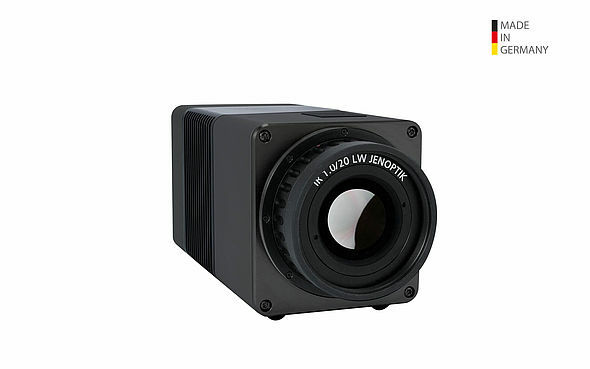 The InfraTec VarioCam® HDx head 600 is ideal for applications requiring a fixed installation in harsh industrial environments or laboratory tasks requiring computer-based support. Compact housing with an optional protection degree of up to IP67 and minimal weight allows this system to be easily integrated into existing system environments. The VarioCAM® HDx head 600 features a 640x480 IR pixel detection and a GigE Vision interface for camera control and data acquisition. Thermal resolution of >30 mK allows for precise detection of the smallest of temperature differences. High-precision calibration via the use of specially developed algorithms utilizing mutliple calibration curves is used to compensate for temperature fluctuations and results in high measuring accuracy and repeatability even at changing environmental temperatures over a wide range. The VarioCAM® HDx head 600 also has a comprehensive range of precision interchangeable lenses ranging from micro thermography to telephoto lenses allowing for complete customization dependant on the specific application.